The eastern side of a house is the side that gets the morning sun, which is a cooler and a much less intense heat and light than afternoon sun. Plants that grow best in these conditions are plants that do not require more than four to six hours a day of sun. Plants on the east side of a house are also shielded from some of winter's harsh winds and coldest temperatures. The glossy abelia is a semi-evergreen bush that produces 1/2-inch white blooms from mid-May through the first frost. The small-leaved boxwood is an evergreen shrub with small, shiny leaves and forms a tightly compacted hedge when trimmed regularly. Native to the southeastern U.S., oakleaf hydrangeas grow well on the eastern sides of buildings where they will get afternoon shade, flowering throughout the summer and into the fall. The evergreen wintercreeper is a groundcover that grows 1 to 2 feet tall and carries dark green leaves measuring 1 to 1-1/2 inches. When new growth appears in the fall, the foliage starts off purple, then turns to green. Lilyturf is a dark green, semi-evergreen groundcover that blooms from early fall to late fall. Lilyturf is also known as monkey grass and grows in large clumps with long slender leaf-like foliage. In fall, it produces long spikes of blue flowers. 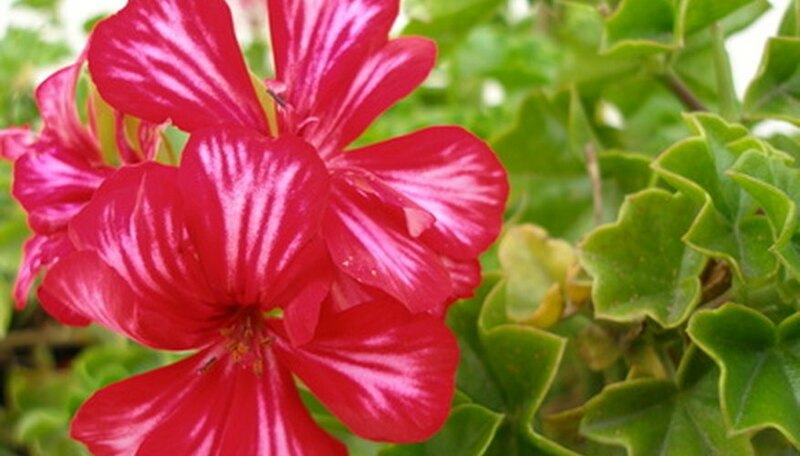 Annual plants are often used in planters or to add large splashes of color to gardens. Annuals suited for planting on the east side of buildings include wax begonias, browallia, lobelia, alyssum, geraniums, petunia, nasturtium and pansy. Each of these are fast-growing annuals that work well mixed in containers together.